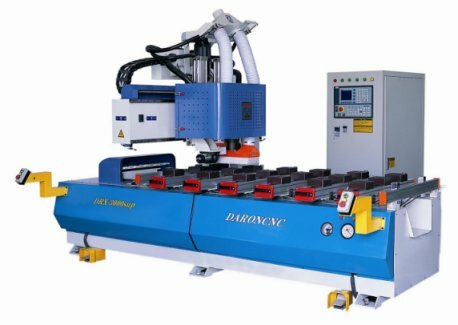 Daron DRX-3000sup konzolos CNC megmunkálógép - CNC gép, kábelvédő, fúrótömlő; Kutenich Kft. 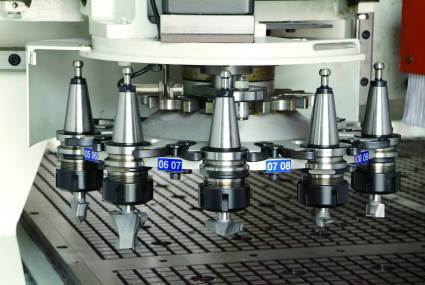 The Daron SUP3000 Cantilever CNC machine is designed for woodworking. 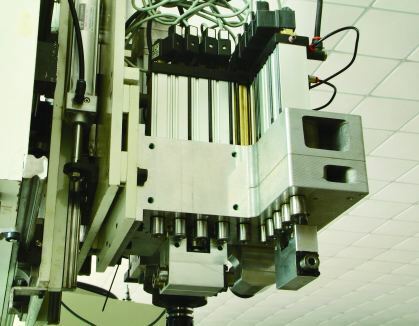 The boring unit by MC comes with 10 vertical drills, 3 horizontal drills and one saw. The distance between the drills is 32 mm (by default). The power of this unit is 2.7kW, and its speed is 2800 rpm to 5000 rpm. The machine can be ordered either with linear ATC or with rotary ATC.